The Denis Law Legacy Trust is a registered charity that operates and delivers a number of ‘free to access’ programmes and positive destination activities that enable young people to take part in and gain access to sport and other creative activities within their local communities. We aim to reduce instances of youth crime and anti-social behaviour; promote health and wellbeing and encourage inclusivity through sport, physical activity and creative endeavor. Our activities currently engage over 16,000 participants annually across a range of age groups and include a wide variety of opportunities that help contribute to healthier and safer local communities. — Denis Law, The King. 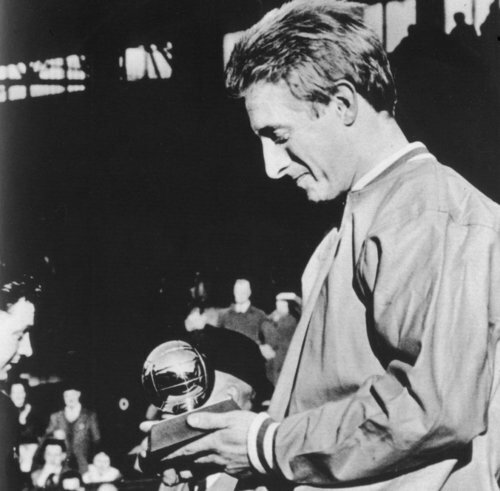 Denis Law is still the only Scottish football player to win the prestigious FIFA Ballon d’Or. The Denis Law Legacy Trust currently delivers a range of 'free to access' doorstep programmes and activities focussed around community engagement and widening participation. We prioritise prevention through intervention and diversionary tactics and support disadvantaged communities by striving to keep all activities free of charge and therefore remove any barriers to participation. "So many people complain that kids don’t play outside anymore, and that there is nothing for them to do". "Streetsport is the perfect antidote to that; the Cruyff Court Denis Law is a stroke of genius and its impact is undeniable". We rely on a team of dedicated volunteers to deliver our range of programmes. Find out why you should volunteer. Join our national campaign to rid play parks and green spaces of No Ball Games signs.